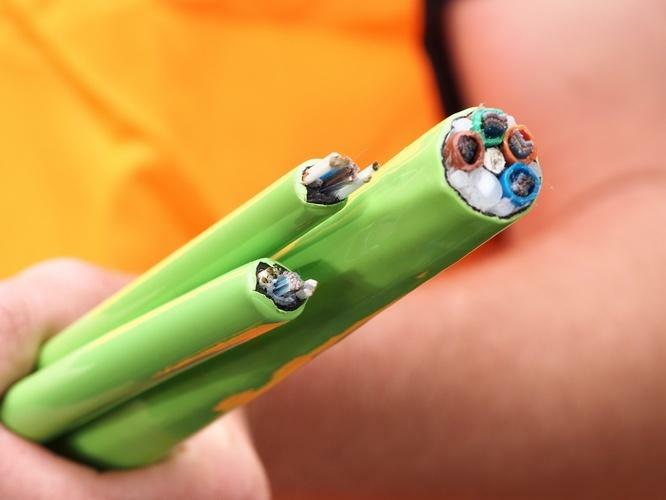 nbn's broadband wholesale access services increased by 21 per cent in the last quarter, ending June, with the company now supplying a total of 2,511,392 access services around Australia. According to the Australian Competition and Consumer Commission's (ACCC) quarterly report on the National Broadband Network (NBN) wholesale, the total amount of connectivity virtual circuit (CVC) capacity acquired by access seekers increased to 2,820 gigabits per second (Gbps), up 36 per cent from the 2,149 Gbps last quarter. Access seekers include telecommunications providers such as Telstra, TPG, Optus, Vocus, Aussie Broadband, Harbour ISP, SkyMesh among others. The ACCC quarterly report also showed that there are now at least five access seeker groups acquiring wholesale services directly from nbn, the company behind the NBN, at 118 points of interconnection (POI) and six access seeker groups at 89 of the 121 POIs. This figure represents a significant increase as smaller providers connect directly with nbn at the POI. “As smaller operators achieve sufficient scale to directly connect with the NBN at a large number of POIs, they can better control the amount of CVC they allocate to their customers. This improves service levels for end-users and increases the competitiveness of the market,” ACCC chairman, Rod Sims, said. Telstra competitors in regional areas are consistently maintaining higher market shares compared to traditional broadband services, according to the ACCC. The average CVC capacity acquired per user has increased by almost 10 per cent during the quarter. This includes an average increase for each broadband service from around one Mbps to 1.09 Mbps. The most popular speed tier continues to be 25/5 Mbps. The industry watchdog is currently consulting with the industry about whether further information relating to the CVC capacity acquired and the utilisation of it by each access seeker group should be reported by nbn Co.
“The ACCC considers that further information in relation to CVC utilisation rates would assist the ACCC to monitor the development of competition over the NBN and enable it to perform its regulatory functions,” Sims said. Last month, nbn chief, Bill Morrow, responded to claims that the NBN pricing model could be affecting how retail service providers (RSP) market the NBN. According to Morrow, nbn reduced the CVC charge on three separate occasions – from $20 per megabit per second per month to the current average across the industry of $14.40/Mbps per month and as low as $8/Mbps a month if they buy sufficient quantity. FTTN (fibre to the node) and HFC (hybrid fibre co-axial) wholesale access services continue to increase as a proportion of overall access services. According to the report, the number of services connected via FTTN has increased from 102,293 to 906,662 over the last 12 months and the number of services connected via HFC increased from 14,551 to 153,371 over the last 6 months.